Yesterday when I wrote about an important question you need to regularly ask yourself, I asked; "What about the Grandparents?" Grandparents have the potential to make a significant impact on their grandchildren if they are intentional Christian grandparents, because grandparenting matters. With this being true, how do you engage the grandparents in your church so they are intentional Christian grandparents? 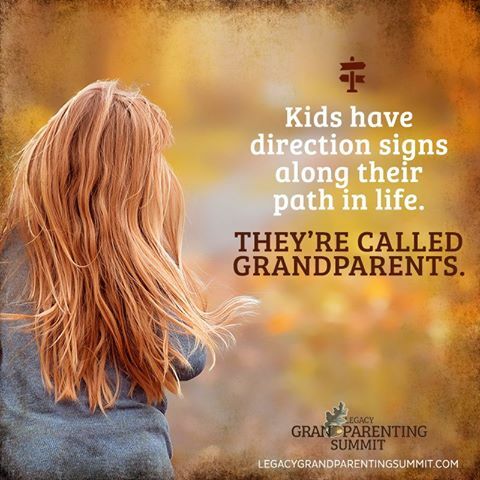 The Legacy Coalition is focused upon helping churches develop solid Grandparenting Ministries, but you may wonder what are we talking about when we say; “Grandparenting Ministry”. We want you to know, Grandparenting Ministry is not necessarily ministry serving grandparents, but rather ministry which engages, equips and encourages grandparents to be intentional about passing on a heritage of faith. Cavin Harper describes this ministry as a; "Future Generations Ministry", because it is about future generations and helping them remember all God does, so they are able to faithfully and obediently follow Him. While it is likely none of us would say a ministry which engaged grandparents to be intentional about passing on a heritage of faith was a "bad" thing, few churches actually engage this group of people in their church. They typically have a "senior saints" ministry which provides opportunities for the older generation to fellowship, but most often does not offer anything else. We in the church, sadly, have followed the mind-set in our culture, which contributes to an unbiblical and distorted view of grandparents - all they do is fill the grandchildren with sugar and send them home, so the grandparents can take trips or retire to a community where they relax and “enjoy” life. We do not see this in the Bible. God's Word tells us grandparents matter and they have a very important, and essential, role in passing on a heritage of faith to their children’s children. God has a purpose for grandparents, and since the average age of a first-time grandparent is 47, the church can not afford to continue to ignore this group of people in its community. So, what do you think? Do you have a Grandparenting Ministry at your church? Are you interested in starting a Grandparenting Ministry at your church?